With e-commerce sales figures breaking records year over year, fraudsters are increasingly resorting to online venues and card-not-present (CNP) fraud. Another contributing factor to the trend is the fact that card present fraud is becoming more difficult due to the rollout of chip based cards (EMV) in the US in the past year. However, the dynamics behind online fraud are different from physical fraud, and e-retailers should be on the watch for the latest trends and prepare to defend their businesses against online fraudsters. A new eye-opening report from e-commerce fraud prevention platform Riskified, compiled from data collected from many online retail customers, shows that sneakers are the hottest new trend of CNP fraud. Online retailers should pay special attention to handling transactions that involve sport shoes if they want to avoid damage to their business and customers. Why are sneakers a desirable fraud target? In general, fraudsters valuate their target commodities by resale opportunity and ease of handling. In this respect sneakers are a very attractive target. Demand is constantly on the rise and the global market is slated to grow north of $200 billion by 2020. This provides fraudsters with the opportunity to blend in with the masses and make it harder for retailers to discover their fraudulent purchase among tons of legitimate ones, while at the same time it gives them a near guarantee that they’ll find customers for their acquired goods. According to the Riskified report, Sneaker purchases are three times more likely to be fraudulent than any other sportswear. This means that online retailers should be more careful when vetting sneaker orders. However, as 80 percent of sneaker sales are still legitimate, mishandling the vetting process can create the risk of generating false declines on real transactions, which can result in customer frustration and the eventual loss of good customers. Therefore, sellers should narrow their focus on types of products and transactions that are more likely to be the target of fraud. 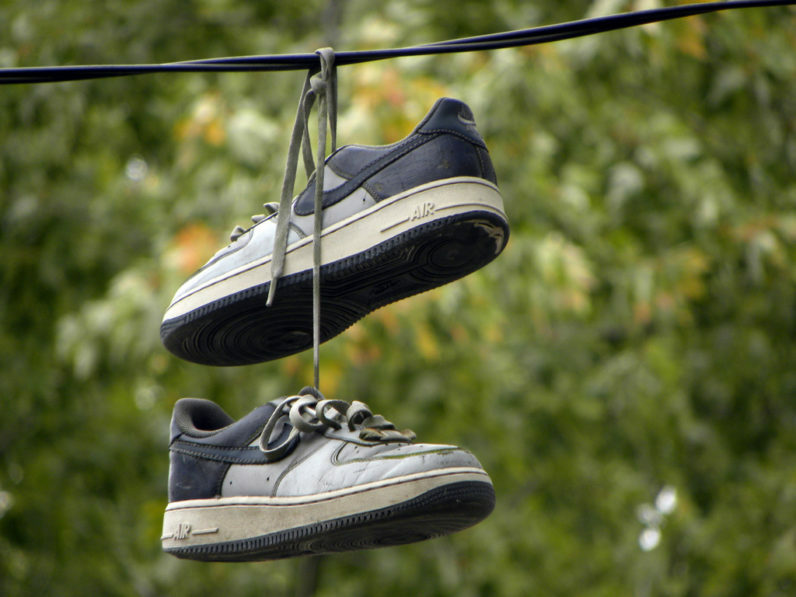 What types of sneakers are at greater risk? The first impression might be that fraudsters would go after more expensive shoes. But the Riskified data shows that trendiness is more of a decisive factor than retail pricing. Fraudsters are looking for shoes that have more demand on the market and will get sold much quicker. Basketball shoes are the type of sneakers that are the most at risk, Riskified finds, and topping the list of fraud targets with a low 67.7 percent approval rate are Nike’s Kyrie Irving sneakers, which have grown extremely popular thanks to the top-notch performance of the Cleveland Cavaliers’ point guard in the 2016 playoffs. Running shoes, on the other hand, are less susceptible to fraud. For instance, the Adidas NMD line, which averages at $256 a pair, has a 92 percent safe approval rate. Risks and targets will shift with trends however, and retailers should look to their sales data to forecast which types of shoes will be the next possible target of online fraud. What do fraudulent transactions look like? In order to avoid becoming risk averse and declining legitimate orders, the following guidelines can help zero-down on transactions that are more likely to be fraudulent. Multiple item purchases: Fraudsters will try to grab as much as they can on their first attempt, knowing that their fake credit information is at risk of being blocked in future purchases. That’s why online retailers should be more skeptical of orders that include several sneakers. According to Riskified’s data, an order with six or more sneaker items is over 3.5 times riskier than a normal order. In-store pickups are safer: Fearful of getting caught in the act, fraudsters are less likely to show up in stores to pick up items they’ve purchased online. Therefore, in-store pickups are three times safer than online orders that are shipped to their recipient. Safe payment mediums: Some payment mediums are less susceptible to fraud, including promo codes and mobile payments. Know regional risk factors: Retailers blocking purchases based on country of origin are missing out on a lot of revenue because a considerable number of sneaker lovers make cross-border purchases. While the risks should be considered and managed, they shouldn’t be blocked altogether. How can retailers improve fraud detection rates? Finding the sweet spot between battling fraud and avoiding customer dissatisfaction can be hard, especially as online shopping and CNP fraud rises. Big data and machine learning-based solutions can help in this regard. By collecting customer- and transaction-related data, retailers will be better positioned to detect anomalies and single out possibly fraudulent transactions. For instance, a sudden surge in purchases from similar operating systems and browsers can be pointing to operations carried out by a fraud ring. Likewise, a mismatch between purchased items and the general preferences attributed to the age and gender of a particular customer should raise the alarm on possible fraud. Linking orders and cross-checking data between new and old transactions can help as well. The practice can help find similarities and patterns such as IP addresses associated with fraudulent transactions. It can also help prevent false declines on legitimate transactions.